Located at a federal government facility, the Lawrence Berkeley National Laboratory falls under the federal OSHA regulations. The safety requirements are very strict. Western Specialty Contractors was selected for a concrete restoration project at the facility because of it’s safety record and the ability of it’s crew to operate under tight restrictions. A large liquid nitrogen holding tank is located on the loading dock of Building 62. Several times a day, lab researchers visit the dock to fill the individual tanks for their labs. Often times during the filling process, LN leaks out hitting the concrete deck. 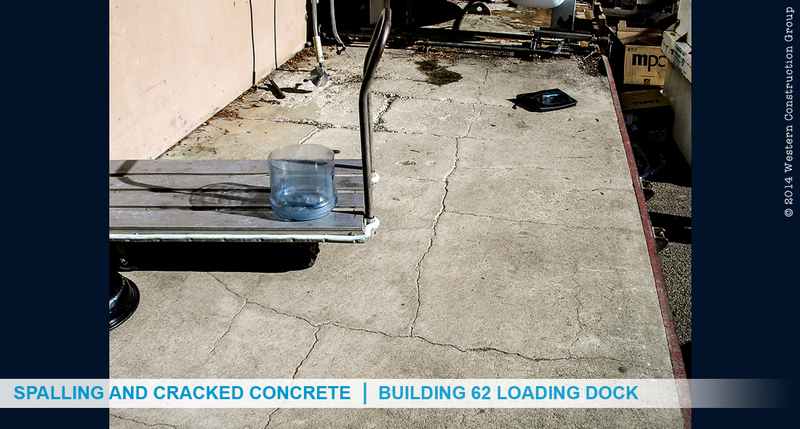 This exposure creates an immediate freeze/thaw condition causing cracks and spalls to develop. The weight of the filled tanks (between 300 to 500 pounds), rolling across the docks caused further damage to the concrete surface. Western craftsmen removed the spalled and damaged concrete. SIKA SLV55 penetrating sealer was applied into the cracks. The replacement material chosen was SIKA 2500 repair mortar. The use of this material allowed the crew to place an epoxy coating on the loading dock within four hours of installation. 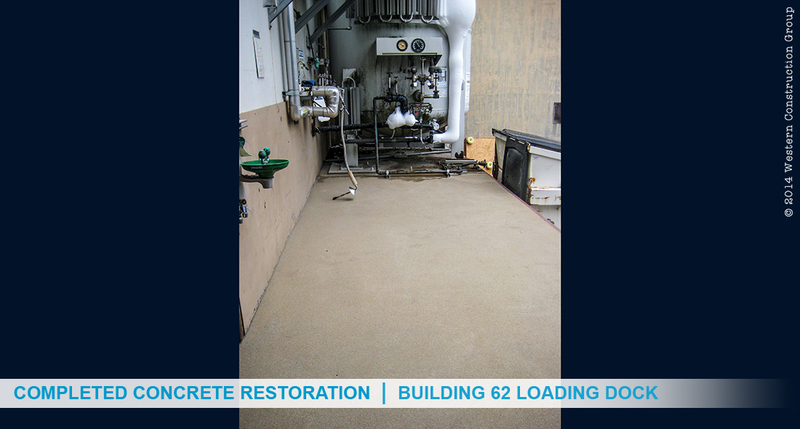 The coating used was SIKA 52 loaded with sand to provide a slip-resistant surface. Both the owners and researchers are happy with the result. No longer will the lab technicians have to fight through the maze of cracks and spalled concrete.